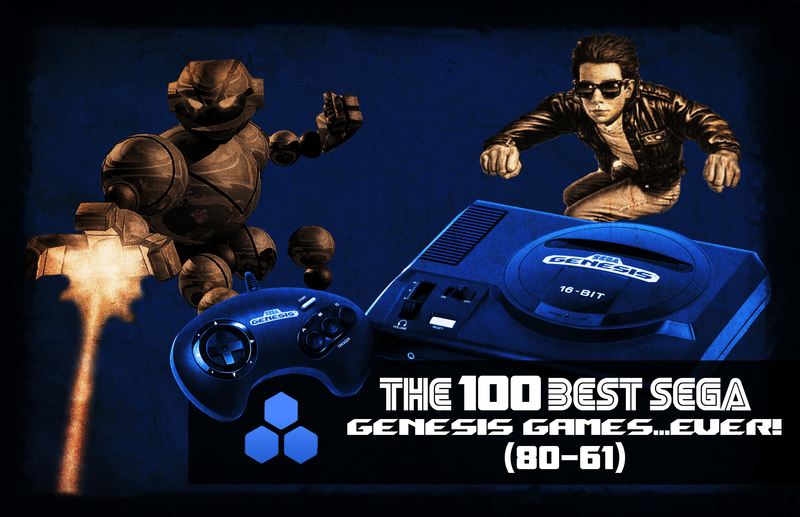 The 100 Best Sega Genesis Games...Ever (80-61)! The 100 Best Sega Genesis Games…Ever (80-61)! Evolve ENT is continuing its celebration of the Sega Genesis 25th Anniversary by ranking the console’s 100 best games throughout the week. Having already ranked 100 – 81, we jump into the next set of titles that defined the 16-bit console. See where your favorites land. The thing about Vectorman is it’s pretty much a visual spectacle. It delivered awesome graphics for the 16-bit era, but even by today’s standards, the game looks pretty cool. Plus the setting and background music is both funky and stimulating. The sequel pushed the Genesis to its limits with amazing pre-rendered environments and smooth animations. This game worked hard to stand out, and it really had to, as the PlayStation had just come out and the SNES dominated households across the nation. It was the Genesis final stand and a strong way that brought gamers back to the machine, even if for a slight bit.